Samantha has been shooting professionally for over 5 years. She chases golden hour and lusts after natural light every chance she gets. While still in school, Samantha began her fashion and lifestyle blog, Bonjour Blue, that launched her career into the fashion industry. 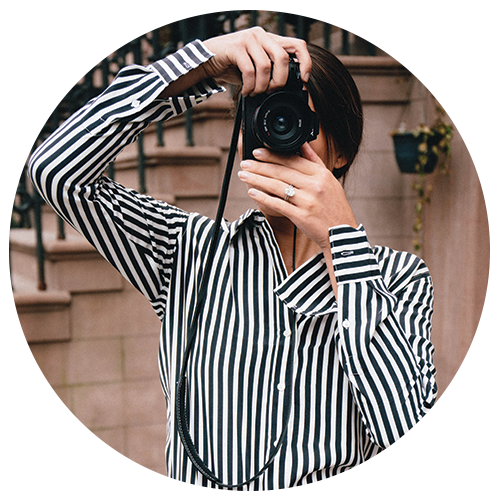 After working as an Art Director, Website Manager, and Graphic Designer, she felt compelled to continue her photography skills and advance to the next level. She quickly gained experience shooting fashion campaigns and lifestyle shoots. Based in New York but always willing to travel. Please contact her here to work together on your next adventure.